This part of the tutorial examines commands that allow you to use Sage much like a graphing calculator. The chapter on arithmetic and functions and the chapter on solving equations and inequalities serve as a foundation for the rest of the material. The chapters on plotting, statistics and calculus are independent of each other, although plotting may be useful to read next since plotting graphs is so is useful in calculus and in statistics. The basic arithmetic operators are +, -, *, and / for addition, subtraction, multiplication and division, while ^ is used for exponents. The - symbol in front of a number indicates that it is negative. As we would expect, Sage adheres to the standard order of operations, PEMDAS (parenthesis, exponents, multiplication, division, addition, subtraction). When dividing two integers, there is a subtlety; whether Sage will return a fraction or it’s decimal approximation. Unlike most graphing calculators, Sage will attempt to be as precise as possible and will return the fraction unless told otherwise. One way to tell Sage that we want the decimal approximation is to include a decimal in the expression itself. Divide by raised to the 5th power as a rational number, then get it’s decimal approximation. Use sage to compute (-9)^(1/2). Describe the output. Sometimes when we divide, the division operator doesn’t give us all of the information that we want. Often we would like to not just know what the reduced fraction is, or even it’s decimal approximation, but rather the unique quotient and the remainder that are the consequence of the division. To calculate the quotient we use the // operator and the % operator is used for the remainder. Recall that divides if is the remainder when we divide the two integers. The integers in Sage have a built-in command ( or ‘method’ ) which allows us to check whether one integer divides another. A related command is the divisors() method. This method returns a list of all positive divisors of the integer specified. When the divisors of an integer are only and itself then we say that the number is prime. To check if a number is prime in sage, we use it’s is_prime() method. Notice the parentheses around 2^19 -1 in the first example. They are important to the order of operations in Sage, and if they are not included then Sage will compute something very different than we intended. Try evaluating 2^19-1.is_prime() and notice the result. When in doubt, the judicious use of parenthesis is encouraged. We use the factor() method to compute the prime factorization of an integer. If we are interested in simply knowing which prime numbers divide an integer, we may use it’s prime_divisors() (or prime_factors()) method. Finally, we have the greatest common divisor and least common multiple of a pair of integers. A common divisor of two integers is any integer which is a divisor of each, whereas a common multiple is a number which both integers divide. 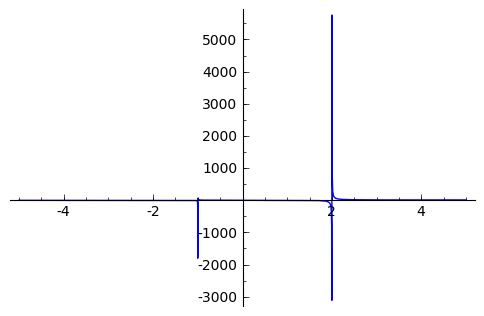 The greatest common divisor (gcd), not too surprisingly, is the largest of all of these common divisors. The gcd() command is used to calculate this divisor. Notice that if two integers share no common divisors, then their gcd will be . The least common multiple is the smallest integer which both integers divide. The lcm() command is used to calculate the least common multiple. Find the quotient and remainder when diving into . Use Sage to verify that the quotient and remainder computed above are correct. Use Sage to determine if divides . Compute the list of divisors for each of the integers and . Which of the integers above are prime? Calculate , and for the pairs of integers and . How do the gcd, lcm and the product of the numbers relate? Sage includes nearly all of the standard functions that one encounters when studying mathematics. In this section, we shall cover some of the most commonly used functions: the maximum, minimum, floor, ceiling, trigonometric, exponential, and logarithm functions. We will also see many of the standard mathematical constants; such as Euler’s constant ( ), , and the golden ratio ( ). The max() and min() commands return the largest and smallest of a set of numbers. We may input any number of arguments into the max and min functions. In Sage we use the abs() command to compute the absolute value of a real number. 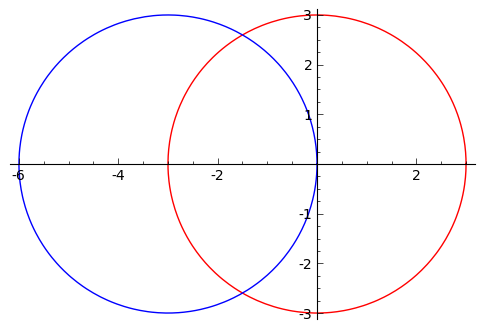 The floor() command rounds a number down to the nearest integer, while ceil() rounds up. We need to be very careful while using floor() and ceil(). This is clearly not correct: . So what happened? Since computers cannot store an infinite number of digits, this gets rounded off somewhere, resulting in the slight error we saw. In Sage, however, rational numbers (fractions) are exact, so we will never see this rounding error. Due to this, it is often a good idea to use rational numbers whenever possible instead of decimals, particularly if a high level of precision is required. The sqrt() command calculates the square root of a real number. As we have seen earlier with fractions, if we want a decimal approximation we can get this by giving a decimal number as the input. To compute other roots, we use a rational exponent. Sage can compute any rational power. If either the exponent or the base is a decimal then the output will be a decimal. Sage also has available all of the standard trigonometric functions: for sine and cosine we use sin() and cos(). Continuing on with the theme, there are some lesser known special angles for which the value of sine or cosine can be cleverly simplified. Other trigonometric functions, the inverse trigonometric functions and hyperbolic functions are also available. Similar to pi Sage has a built-in symbolic constant for the number , the base of the natural logarithm. While some might be familiar with using ln(x) for natural log and log(x) to represent logarithm base , in Sage both represent logarithm base . We may specify a different base as a second argument to the command: to compute in Sage we use the command log(x,b). Exponentiation base can done using both the exp() function and by raising the symbolic constant e to a specified power. Compute the floor and ceiling of . Compute the logarithm base of , compute the logarithm base 10 of , then compute the ratio. What should the answer be? Compute the logarithm base 2 of . Compare with a numerical approximation of it using pi.n(). In Sage, equations and inequalities are defined using the operators ==, <=, and >= and will return either True, False, or, if there is a variable, just the equation/inequality. To solve an equation or an inequality we use using the, aptly named, solve() command. For the moment, we will only solve for . The section on variables below explains how to use other variables. Equations can have multiple solutions, Sage returns all solutions found as a list. The solution set of certain inequalities consists of the union and intersection of open intervals. The solve() command will attempt to express the solution of an equation without the use of floating point numbers. If this cannot be done, it will return the solution in a symbolic form. To find a numeric approximation of the solution we can use the find_root() command. Which requires both the expression and a closed interval on which to search for a solution. This command will only return one solution on the specified interval, if one exists. It will not find the complete solution set over the entire real numbers. To find a complete set of solutions, the reader must use find_root() repeatedly over cleverly selected intervals. Sadly, at this point, Sage cannot do all of the thinking for us. This feature is not planned until Sage 10. Variable names cannot contain spaces, for example “square root” is not a valid variable name, whereas “square_root” is. Attempting to use a symbolic variable before it has been declared will result in a NameError. We can un-declare a symbolic variable, like the variable phi defined above, by using the restore() command. Small systems of linear equations can be also solved using solve(), provided that all the symbolic variables have been declared. The equations must be input as a list, followed by the symbolic variables. The result may be either a unique solution, infinitely many solutions, or no solutions at all. In the second equation above, r1 signifies that there is a free variable which parametrizes the solution set. When there is more than one free variable, Sage enumerates them r1,r2,..., rk. solve() can be very slow for large systems of equations. For these systems, it is best to use the linear algebra functions as they are quite efficient. Solving inequalities in several variables can lead to complicated expressions, since the regions they define are complicated. 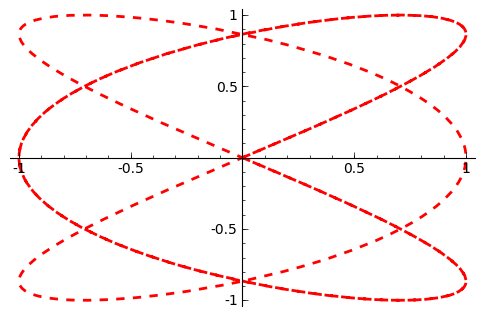 In the example below, Sage’s solution is a list containing the point of interesection of the lines, then two rays, then the region between the two rays. Find all of the solutions to the equation . Find the complete solution set for the inequality . Find all and that satisfy both and . Use find_root() to find a solution of the equation on the interval . Change the command above so that find_root() finds the other solution in the same interval. Sage has many commands that are useful for the study of differential and integral calculus. We will begin our investigation of these command by defining a few functions that we will use throughout the chapter. Sage uses x |--> to tell you that the expression returned is actually a function and not just a number or string. This means that we can evaluate these expressions just like you would expect of any function. With these functions defined, we will look at how we can use Sage to compute the limit of these functions. Now this is an example of why we have to be a little careful when using computer algebra systems. The limit above is not exactly correct. See the graph of near this discontinuity below. 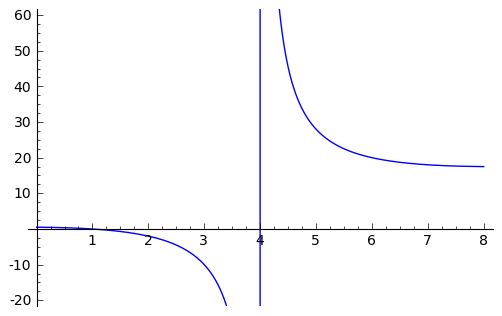 What we have when is a vertical asymptote with the function tending toward positive infinity if is larger than and negative infinity from when less than . We can takes these directional limits using Sage to confirm this by supplying the extra dir argument. The next thing we are going to do is use Sage to compute the derivatives of the functions that we defined earlier. For example, to compute , , and we will use the derivative() command. The first argument is the function which you would like to differentiate and the second argument is the variable with which you would like to differentiate with respect to. For example, if I were to supply a different variable, Sage will hold constant and take the derivative with respect to that variable. The derivative() command returns another function that can be evaluated like any other function. 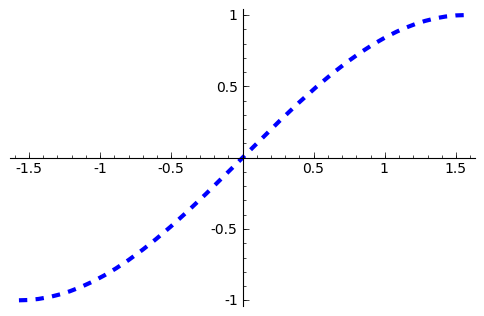 With the derivative function computed, we can then find the critical points using the solve() command. 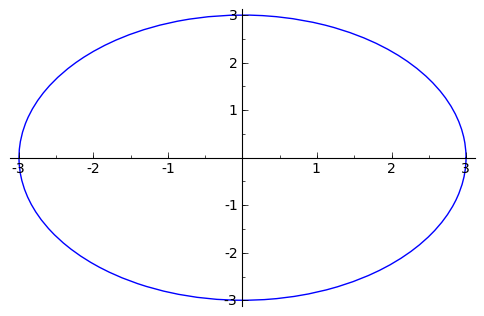 Constructing the line tangent to our functions at the point is an important computation which is easily done in Sage. For example, the following command will compute the line tangent to at the point . The same can be done for and . 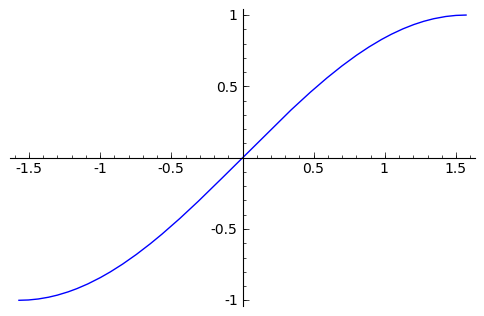 Sage has the facility to compute both definite and indefinite integral for many common functions. We will begin by computing the indefinite integral, otherwise known as the anti-derivative, for each of the functions that we defined earlier. This will be done by using the integral() command which has arguments that are similar to derivative(). The function that is returned is only one of the many anti-derivatives that exist for each of these functions. The others differ by a constant. We can verify that we have indeed computed the anti-derivative by taking the derivative of our indefinite integrals. Wait, none of these look right. But a little algebra, and the use of a trig-identity or two in the case of 1/2*(2*x^2 - 1)*cos(2*x) + 1/2*cos(2*x), you will see that they are indeed the same. It should also be noted that there are some functions which are continuous and yet there doesn’t exist a closed form integral. A common example is which forms the basis for the normal distribution which is ubiquitous throughout statistics. The antiderivative for is commonly called , otherwise known as the error function. 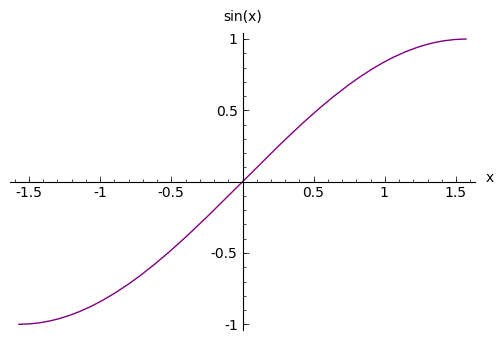 We can also compute the definite integral for the functions that we defined earlier. This is done by specifying the limits of integration as addition arguments. 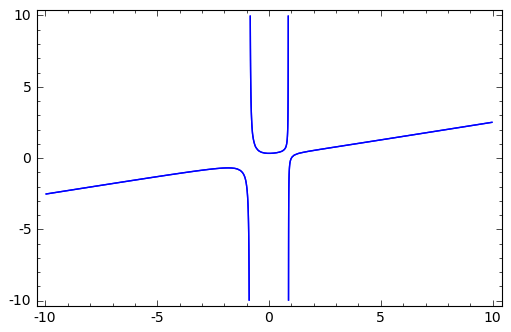 In each case above, Sage returns a function as its result. Each of these functions is a constant function, which is what we would expect. As it was pointed out earlier, Sage will return the expression that retains the most precision and will not use decimals unless told to. A quick way to tell Sage that an approximation is desired is wrap the integrate() command with n(), the numerical approximation command. In this section we will discuss the use of some of the basic descriptive statistic functions availble for use in Sage. To demonstrate their usage we will first generate a pseudo-random list of integers to describe. The random() function generates a random number from , so we will use a trick. Note, by the nature of random number generation your list of numbers will be different. We can compute the mean, median, mode, variance, and standard deviation of this data. Note that both the standard deviation and variance are computed in their unbiased forms. It we want to bias these measures then you can use the bias=True option. We can also compute a rolling, or moving, average of the data with the moving_average(). Use Sage to generate a list of 20 random integers. The heights of eight students, measured in inches, are . Find the average, median and mode of the heights of these students. Using the same data, compute the standard deviation and variance of the sampled heights. Sage has many ways for us to visualize the mathematics with which we are working. In this section we will quickly you up to speed with some of the basic commands used when plotting functions and working with graphics. To produce a basic plot of from to we will use the plot() command. By default, the plot created will be quite plain. To add axis labels and make our plotted line purple, we can alter the plot attribute by adding the axes_labels and color options. The color option accepts string color designations ( ‘purple’, ‘green’, ‘red’, ‘black’, etc...), an RGB triple such as (.25,.10,1), or an HTML-style hex triple such as #ff00aa. We can change the style of line, whether it is solid, dashed, and it’s thickness by using the linestyle and the thickness options. We can display the graphs of two functions on the same axes by adding the plots together. To tie together our plotting commands with some material we have learned earlier, let’s use the find_root() command to find the point where and intersect. We will then add this point to the graph and label it. Sage handles many of the details of producing “nice” looking plots in a way that is transparent to the user. However there are times in which Sage will produce a plot which isn’t quite what we were expecting. This, in the author’s opinion, displays the features of this particular function in a much more pleasing fashion. 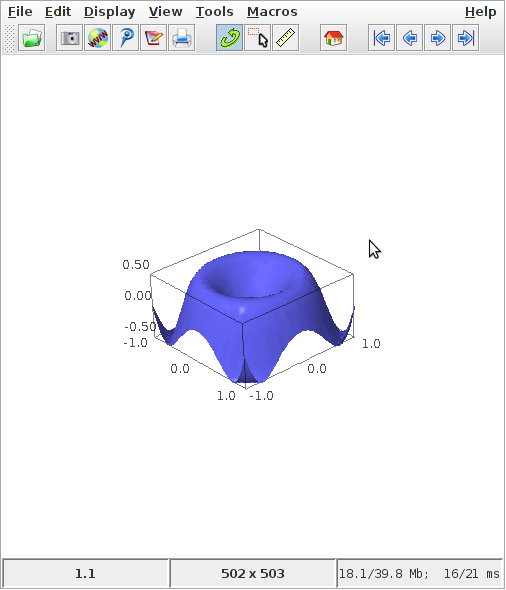 Sage can handle parametric plots with the parametric_plot() command. 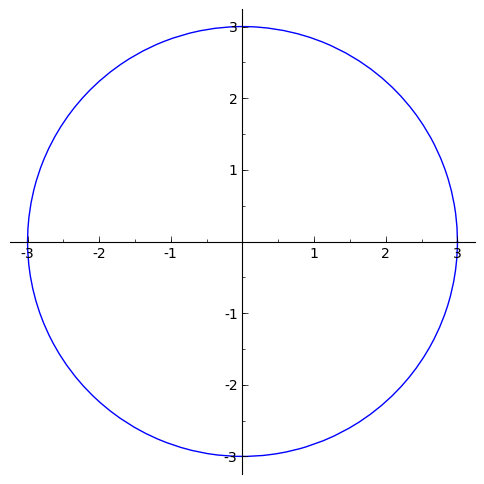 The following is a simple circle of radius 3. The default choice of aspect ratio makes the plot above decidedly “un-circle like”. We can adjust this by using the aspect_ratio option. The different plotting commands accept many of the same options as plot. 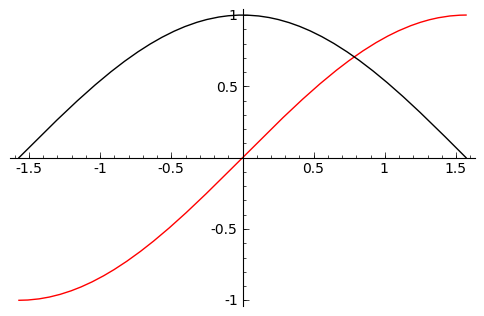 The following generates the Lissajous Curve with a thick red dashed line. Polar plots can be done using the polar_plot() command. 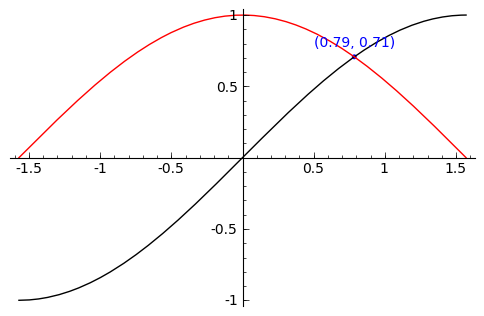 Plot the graph of for using a thick red line. 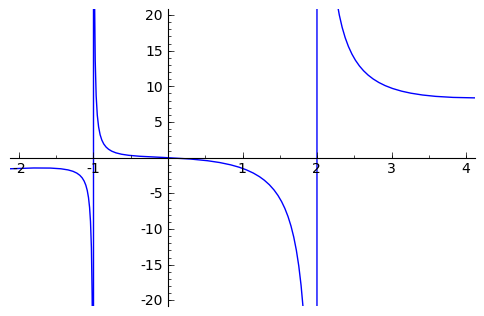 Plot the graph of on the same interval using a thick blue line. 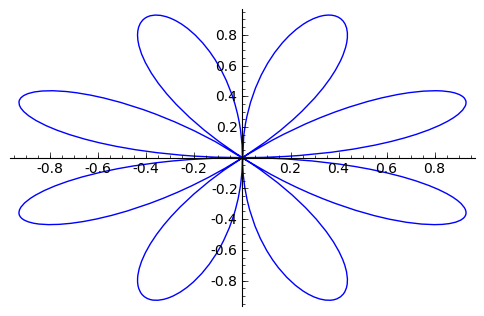 Plot the two graphs above on the same set of axes. Plot the graph of for adjusting the range so that only . Sage handles 3d plotting a bit differently than what we have seen thus far. 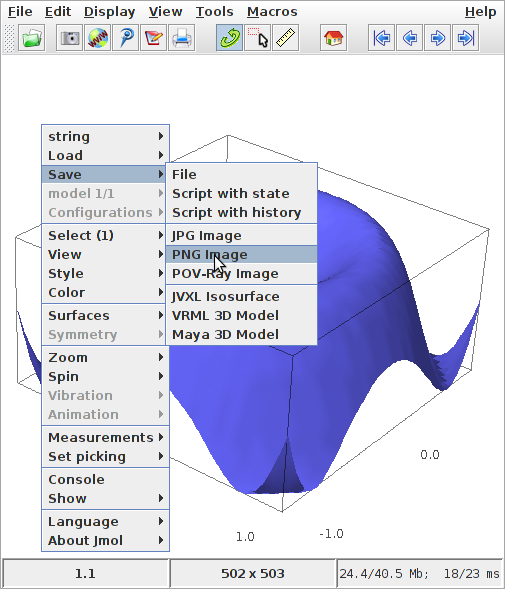 It uses a program named jmol to generate interactive plots. So instead of just a static picture we will see either a window like pictured above or, if you are using Sage’s notebook interface, a java applet in your browser’s window. If you are running Sage on windows or on sagenb.org that your file will be saved either in your VMware virtual machine or on sagenb.org.